History/Mythology: Dvavite gets it name for the Austrian mineralogist Drave. It comes in different shades of brown, ranging from golden brown right through to almost black. 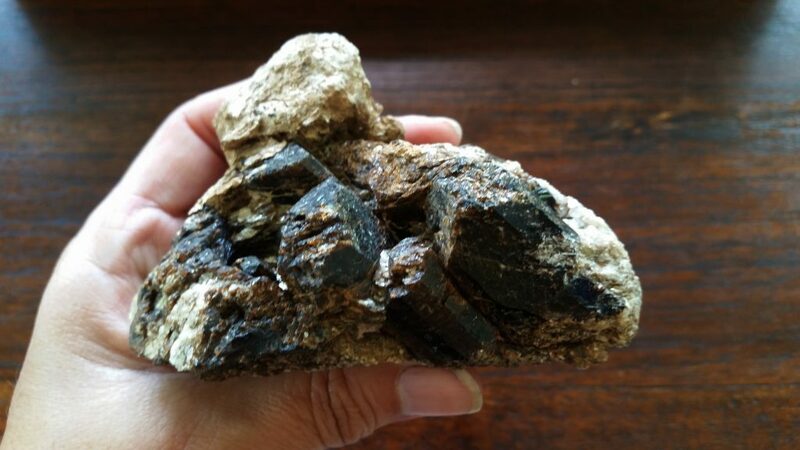 Dravite Dravite is a brown-hued variety of Tourmaline that pairs the purifying energies of Black Tourmaline with the heart-healing energy of Green Tourmaline. It can help one lovingly identify what needs to be released before further growth can occur. Dravite aids in finding an emotional strength and sense of self-acceptance, initiating deep healing for those who have experienced emotional trauma. Its grounding influence helps those who feel overwhelmed release panic and begin to find a place of calm from which to approach life. It helps one to see what has been denied, so emotional healing can occur. Healing – Dravite’s energy lends one a sense of well-being and competence. Can be used in all meditations particularly when your are looking for direction to move forward.